In recent years, Africa has undergone the longest period of sustained economic growth in the continent’s history, drawing the attention of the international media and academics alike. This book analyses the Africa Rising narrative from multidisciplinary perspectives, offering a critical assessment of the explanations given for the poor economic growth and development performance in Africa prior to the millennium and the dramatic shift towards the new Africa. Bringing in perspectives from African intellectuals and scholars, many of whom have previously been overlooked in this debate, the book examines the construction of Africa’s economic growth and development portraits over the years. It looks at two institutions that play a vital role in African development, providing a detailed explanation of how the World Bank and the IMF have interpreted and dealt with the African challenges and experiences. The insightful analysis reveals that if Africa is rising, only 20-30 per cent of Africans are aboard the rising ship, and the main challenge facing the continent today is to bring on board the majority of Africans who have been excluded from growth. 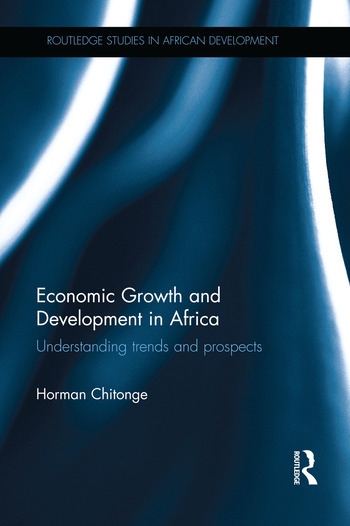 This book makes the complex, and sometimes confusing debates on Africa’s economic growth experience more accessible to a wide range of readers interested in the Africa story. It is essential reading for students and researchers in African Studies, and will be of great interest to scholars in Development Studies, Political Economy, and Development Economics. Horman Chitonge is a senior researcher at the Centre for African Studies, University of Cape Town, South Africa. He holds a PhD in Development Studies from the University of KwaZulu-Natal and has taught development theory and policy on Africa at various African universities. His research interests include access to water and land, poverty, and alternatives for Africa’s economic growth and transformation.